Masergy unveiled SD-WAN Go, a major extension of its Software-Defined Platform. This dynamic network service is an agile and cost-effective solution that can be rapidly deployed at locations around the globe. SD-WAN Go complements Masergy’s existing SD-WAN Pro solution, giving customers two options to address any budget and connectivity requirement. 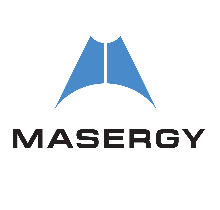 Both services offer seamless integration with Masergy’s Hybrid Networking solutions. Most SD-WAN solutions are proprietary and lock customers into a single vendor or technology approach. Only Masergy’s managed SD-WAN services let customers reap the benefits of SD-WAN while reducing the risk of an “all-or-nothing” solution.